Today Zimbabwe reminded me why I think this is such an amazing place to live. I woke just after 5am, outside it was crisp, dew on the grass and the birds just waking up with me – a pair of Robins serenading each other from the bottom of the garden. Just enough of a chill in the air to make it invigorating. A deep blue sky being rolled back above me. At midday, it was about 25 degrees celsius — bone-dry with green grass and bush stretching to the horizon. And it's not just the physical beauty of the place and the magnificent weather, it is the people. I drove through an intersection where the robots (traffic lights) were not working and a street kid was directing traffic. At the intersection, a 30-tonne truck pulled up next to me — the driver gave me a big grin and a wave. A church put out an appeal for aid for the people caught up in the cyclone in the east and the police had to direct traffic when the response simply overwhelmed the church. One elderly woman walked 17km to give her surplus kitchen utensils — carrying them on her head. A local businessman who saw the picture of her doing so came up with an offer to buy her a home of her own. I am not saying this is paradise — but there are compensations and I think this is a great place to live in and call home. Here, the thing we call the "Africa bug" is alive and well and often takes visitors hostage. When President Emmerson Mnangagwa launched the exercise in November 2017 to remove the then President Robert Mugabe from power, it was our people who gave the operation legitimacy by a national demonstration of joy and support for the tough soldiers on every street corner. This was not contrived and people across the globe watched as we freed ourselves from a tyranny — many with tears in their eyes as they watched history being made in a small way in an African State that had lost its way after Independence in 1980. And boy, had we lost our way! We did it big time and as a consequence all our economic and social fundamentals were so far out of kilter that we were no longer able to give a decent standard of living to our people; no longer able to feed ourselves and also no longer able to give our children an education that would prepare them to compete in an increasingly complex world. Millions of our people were now living abroad. At home, life expectancy plummeted and our young people dreamt of moving away to anywhere that might give them a better chance at life. The rich and wealthy made their money, not by enterprise and hard work, but by patronage, stealth and corruption. In the process, creating a country where the disparity between the rich and the poor is as great as anywhere in the world. By and large, Zimbabweans agreed they had been better off before independence and that our liberators had messed up. The new government had a rough start — the first six months a confused mixture of those who felt they deserved power and a "chance to eat", because they had supported the small group who engineered the transition and the old guard who had survived the purge. Then the election and the emergence of a government without real political roots in our society. Ethnically, the centre of power moving from Mashonaland West to the Midlands. Facing a hostile and sceptical world; including the Zimbabwe population, the new leadership struggled to convince people that anything had changed — but it had. The dictatorship of Mugabe who had ruled Zimbabwe with an iron rod for 38 years had been swept from power. The new leadership knew they had to win the support of the people before 2023 or be swept away just like Mugabe. A transition was underway and the new government needed the help of both the domestic and international community to fix the problems they had inherited. Did we really think we could fix all our historical problems without pain? If we did, we were mistaken. The adopted mantra of the new government was "we are open for business", but this false front hid a far wider agenda of reform and change. In days after the November 2017 transition, the new President had instituted far-reaching reforms to the very institutions that had carried him into power. The leadership of the security services and the armed forces were changed. In succeeding months, the military junta — which had kept Mugabe in power since Independence and which had increasingly subverted constitutional and civilian government — was dissolved. The reform of the security forces is continuing and has a long way to go, but a great deal has been achieved in the past 15 months. In August 2018, Mnangagwa appointed a new team at the Finance ministry — not just Mthuli Ncube, but a whole raft of changes at a senior level. The new team lost no time. A "transitional stabilisation plan" was crafted and a programme of reform to fiscal and monetary policy agreed and rolled out. The changes have been dramatic. In weeks, the fiscal deficit was eliminated and foreign exchange balances in the banks ring-fenced and protected. Monetary reforms came next and right now we are in the process of gradually allowing exchange rates to find a rate at which supply and demand are in equilibrium. Soon, a new currency will follow and normal conditions of trade within a stable money market restored after three decades of chaos. The new Finance minister was clear — this would be a time of austerity while we found our feet in a new dispensation of fiscal and monetary discipline. He was not exaggerating in any way — our living standards have plummeted and the real value of our local currency devalued to 25% of what it was two years ago. But it was necessary and all Zimbabweans should understand this, and I call it the struggle for realignment to the new realities of our situation after decades of economic delinquency. The impact of these changes has been dramatic and the process will continue for much longer. But we are establishing a market-driven economy and the process of what we call "price discovery" is well underway — this refers to the way the markets establish equilibrium and balance when they are allowed to do so. The State can only guide and stabilise this process; they cannot stop it and any attempt to do so will end in failure. The new dispensation is going to strengthen the productive elements in our society — those who actually produce value are going to prosper and in the process this will eventually make Zimbabwe one of the fastest growing economies in the world — one of the new African lions of growth. The consumptive elements — including the corrupt and those who have been feeding at the trough of patronage and privilege are going to find themselves being forced to work and use their ill-gotten gains to actually make a living for once. But for the ordinary person living on a fixed salary or trying to make a living on the margins of society and in the massive informal sector we have, this is a time of painful sacrifice and I am just amazed at how patient they have been. The floating of the currency from 1:1 with the US dollar to the levels prevailing today of 3,1:1 on the official interbank market and 4,5:1 on the open market means that prices have had to rise by three to four times. Many firms have increased salaries, but the changes have been marginal. Fuel prices were first, maize meal and bread will follow, along with vegetable oils. Major adjustments are now needed to salaries and disposable incomes and this must be the next area to receive attention and Mr President, please, explain what you are doing when you have to do whatever is necessary — not like the fuel price adjustment. If we know what you are doing and why and the reasons are reasonable, we will take the pain. But we need to know that they are taking us towards the new beginnings that were promised when we said yes to the removal of Mugabe. 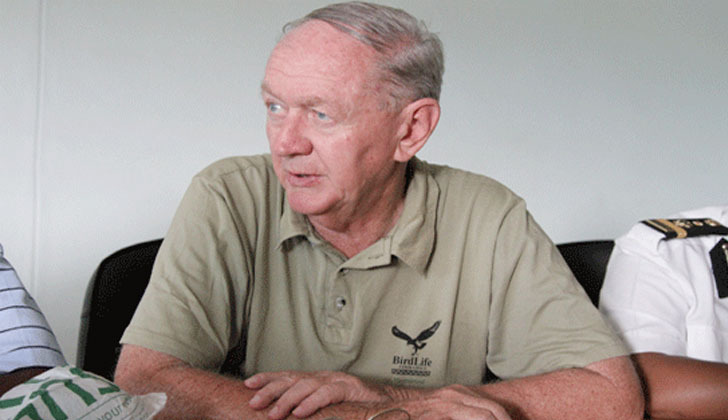 Eddie Cross is a former MDC policy advisor and economist. He writes in his personal capacity.